For this months instalment of When I Grow Up... We interview the lovely Sarah Corbett, the brains behind the innovative Craftivist Collective to find out just what they do, and what they have planned for the future. For those of us that don't know, what is Craftivist? How did it come about? Craftivism is activism through craft methods. It's provoking people to think about global injustices in a non threatening, non preachy way, normally through street art and other craft methods. 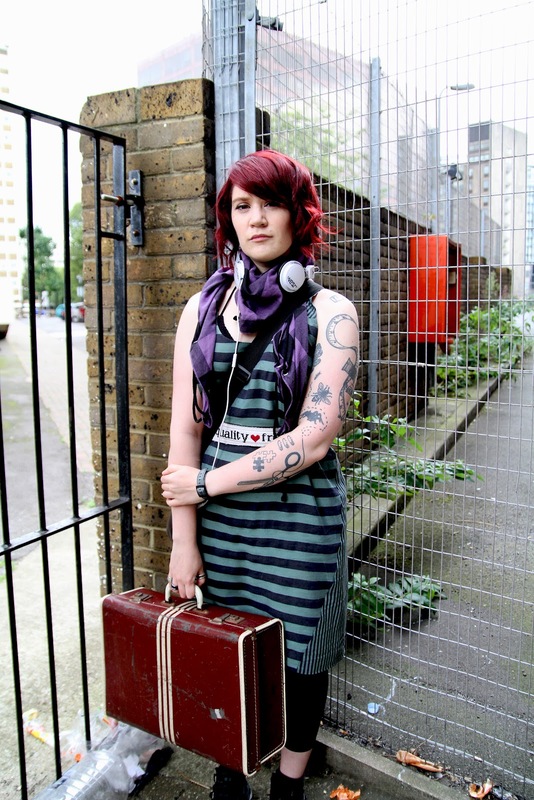 The Craftivist Collective came about in 2008 when I came to London. I googled craft and activism groups and the term craftivism popped up. I contacted Betsy Greer who coined the terms and asked if there were groups I could join but there weren't any, so I just started doing it alone. What made you want to start it all up? There were many reasons I started doing craftivism. I felt like a burnt out activist, like many activists do. Going on lots of marches, signing lots of petitions, going to activism meetings etc and not feeling like we were getting anywhere. Plus I'm not a natural extrovert so didn't like doing stunts, dressing up, talking to strangers and I don't like some forms of activism that are too aggressive and demonise people. I'm creative, and I love encouraging people to be the best they can be and use their gifts and talents to make the world a better place whilst they are on this planet. Craftivism works perfectly for me, as my brain comes up with ideas all the time. Where did you get your inspiration from for Craftivist? Who are your inspirations? I get inspiration from anywhere. Our Don't Blow It project came out of getting a pack of old hankies from a family friend and thinking about how I could use them in a craftivism way. Our cross stitch graffiti came out of seeing so many grids covering windows and thinking I could do giant cross stitch patterns on them with wool. I also love Miranda July's projects on Learning To Love You More website. What do you do when you're not doing this? I think about doing it! I can't stop doing or thinking about it! I do love going to the cinema (especially with the Q&A's with Directors in Curzon), going to galleries, walking around cities with my headphones in, watching TED talks whilst stitching. I also love reading new and independent magazines on fashion, art, culture etc. We do monthly free Stitch-Ins at the Royal Festival Hall every 3rd Thursday of the month 7-9pm. People can come and bring their own craftivism project do to, buy one of our kits and get a free tutorial from one of our experienced craftivists or just come and have a look, chat and see if they want to get involved. 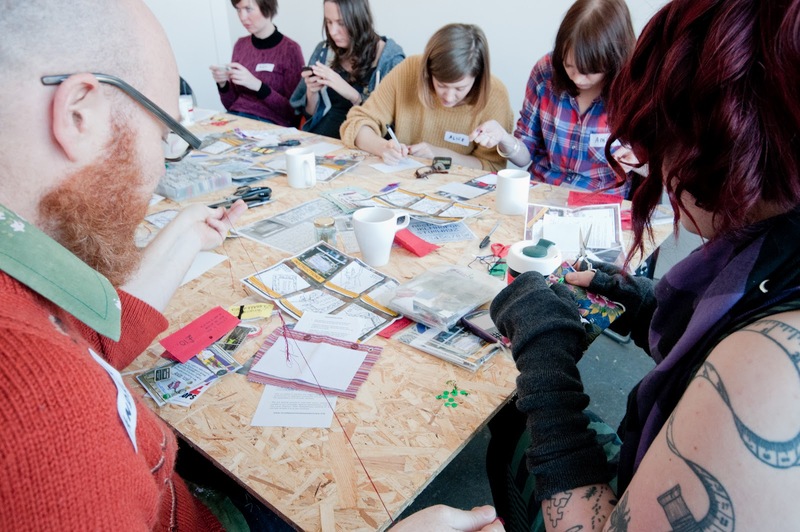 We also do workshops where you learn about the history of crafitivism, the benefits, some craft skills and can discuss justice issues with other attendees. Plus I get booked in to do talks and workshops for organisations (in the past they have been with Southbank, Tate Gallery, Hayward Gallery and others). What does the future hold for Craftivists? More talks, workshops, exhibitions, and collaborative projects. I'm working with a core group of craftivists to create our new craftivism project. We're making tomato jam from a recipe I got from an inspiring woman in Kenya. Tomatos are used in the jam because Kenya suffers from drought and they are more drought resistant than other fruits. We are going to stitch cloth lids with messages about climate change and gender inequality, and offer the jars to MPs, business people and friends to talk about her inspiring story and how we can support each other. Jazz Domino Holly (Queen of Craft author, Founder of Shoreditch Sisters) is going to do the instruction video with me for it in May. And finally do you have any advice for anyone thinking of setting up a similar organisation? Go for it! Remember that people will want to join in if you are friendly, positive and welcoming and become friends. The stronger the friendships: the more productive and effective the group is.